Caps fans were dancing in the streets Thursday night after the team's historic victory in the Stanley Cup Final — and we can expect the streets to fill again for the victory parade Tuesday. The parade is set to begin Tuesday at 11 a.m., News4's Mark Segraves first reported. 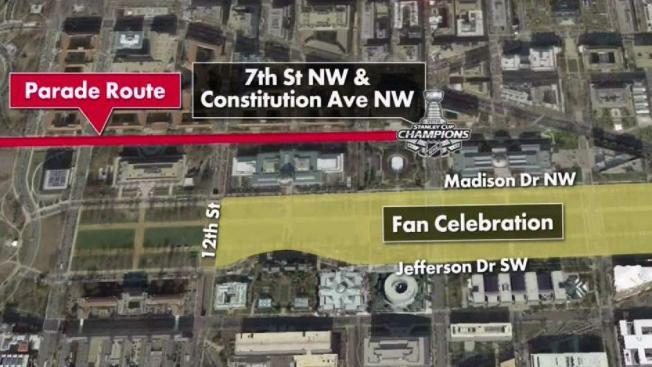 The celebration will roll down Constitution Avenue from 23rd to 7th streets NW, with optimal viewing between 17th and 7th. 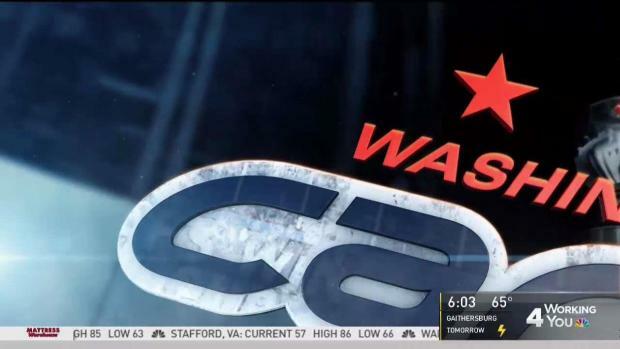 The parade will then turn right and end with an ALLCAPS rally at 7th and the National Mall, Monumental Sports, the group that owns the team, announced Friday afternoon. Metro said trains will operate on rush-hour frequencies throughout the day Tuesday and into the evening commute to accommodate the thousands of fans expected to go to the parade. Trains will depart end-of-line stations every eight minutes, with service as frequent as every two to four minutes at downtown stations, Metro said. Monumental Sports submitted a permit application Thursday morning -- before the team's historic win had even happened -- for a parade in downtown D.C. In "Purpose of event," Monumental Sports' application to the National Park Service says, "To celebrate the Stanley Cup Champions: WASHINGTON CAPITALS! ALL CAPS!" Can hardly blame them for their excitement, even on a legal document. Monumental Sports expects "100,000 + +" fans to attend, the application said. Planners expect Jumbotrons, tents, banners/signs (of course), open-air buses, trailers, medical tents/RVs and bleachers, among other equipment, according to the application. The National Park Service had not yet approved the permit as of Friday morning. They were set to meet with the team and the city Friday. Correction (June 8, 2018, 3:46 p.m. ET): An earlier version of this story said Monumental Sports submitted their permit application Friday morning.